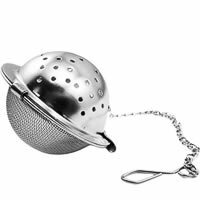 A convenient tea infuser in the shape of a ball attached with a tong. 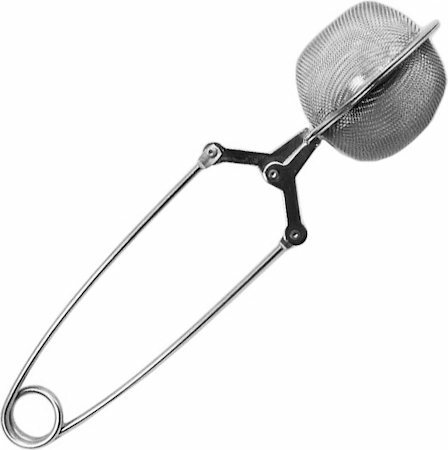 The ball can be opened in two halves, and closed after putting the tea leaves. 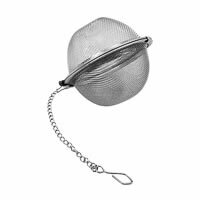 The infuser is put in the hot water for the required time and taken out while tea leaves remain inside the ball. 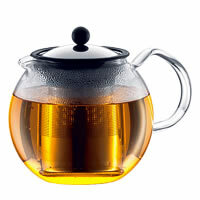 The tea leaves in the infuser can be easily reused by repeating the same process. Suitable for 1-2 cups of tea.